In 1939, Caroline Etheredge Hembel was one of three women accepted for the Civilian Pilot Training Program at the University of South Carolina. The only woman to complete the Program, she was the first woman in the 11 Southeastern states to solo and receive a pilot’s license. In 1940, she received her commercial pilot’s license, and she became an officer in the Ninety Nines. The South Carolina Aeronautics Commissions named Hembel “Miss South Carolina Aviation.” In 1941, she began training Navy V-5 aviation cadets. In 1942, she became a charter member of the Columbia Chapter of the National Aeronautic Association. In 1943, she was designated for membership in Women’s Auxiliary Service Pilots. She received a special pilot’s license and took part in several All Women Transcontinental Air Races. In 1962, Hembel was instrumental in bringing Hughes Helicopter Company’s dealership to Saluda. Hembel has been a pioneer as a female pilot, a pilot instructor and an officer in the Ninety Nines. She has made a tremendous difference in the history of aviation in South Carolina and was named South Carolina Aviator of the Year in 1995. SALUDA Caroline Etheredge Hembel, a pioneer aviator, devoted wife, and beloved matriarch of her family, died Monday, Jan. 22, 2001, at her home in Saluda. Mrs. Hembel blazed the trail for women in aviation, helped her husband introduce frozen foods to Saluda County, supported him in bringing the helicopter industry to South Carolina, and was the heart and nerve center of her family. In 1995 the South Carolina Aviation Association inducted her intothe South Carolina Aviation Hall of Fame and named her the 1995 South Carolina Aviator of the Year for her contributions to aviation over her 55-year career. In 1939, she was one of three women accepted for the Civilian Pilot Training Program at the University of South Carolina, and the only woman to complete this Program. She became the first woman in the eleven Southeastern states to solo and receive her pilot’s license under the Program. She received her commercial pilot’s license in 1940. In 1941 she became an officer in the Ninety Nines, the international organization of women pilots (founded by Amelia Earhart). That same year she was chosen “Miss South Carolina Aviation” and became an ambassador for the world of aviation. In 1941 she completed an instructor’s course and began training Navy V-5 aviation cadets, a preparation for World War 11. In 1943 she became a charter member of the Columbia Chapter of the National Aeronautics Association and was designated for membership in the Women’s Auxiliary Service Pilots. She received her special racing pilot’s license and took part in several All Western Transcontinental Air Races. In 1963, she was involved in the promotion of the issuing of the Amelia Earhart postage stamp. At the Civilian Pilot Training Program school during the war Caroline Etheredge met Les Hembel, her future husband, also a pilot and instructor. In 1945, after the war, Mrs. Hembel and her husband returned to her home in Saluda. She gave up the spotlight of aviation fame to raise her children and to encourage her husband in his business ventures: Saluda Meat Center, Hembel Earth Moving, and South Carolina Helicopters. Together they built Saluda Frozen Foods, today Saluda Meat Center, a meat-processing facility which also rented “lockers” where customers could store their own frozen food, an unheard-of convenience in this time before home freezers. Mrs. Hembel was vice-president and secretary/treasurer of this corporation and was involved with the day-to-day operation of the plant. In 1962, Mrs. Hembel was instrumental in helping her husband bring the Hughes Helicopter Company to Saluda. Mrs. Hembel invited the Hughes executives for a visit to view the facilities at Etheredge Plantation and to dinner at Whitehall. The facilities, Mrs. Hembel’s charm, and her offer of a capital investment and of Whitehall’s front lawn as a heliport, in addition to her husband’s expertise and enthusiasm, convinced Hughes to approve the move from Atlanta to Saluda. This venture, South Carolina Helicopters, became at one time the most active helicopter pilot training school in the United States and trained students from all over the world. Perhaps her most important role was one often overlooked and underrated in today’s world: that of matriarch and heart of the family. Always a great listener, always interested in every detail of the family’s doings, she was the nerve center where everyone brought information and messages for her and each other. In a way that is rare in modern families, she was there for those she loved. Because of the international nature of her husband’s business, all kinds of people passed through her home. Hearing their stories and learning about the lives of blimp pilots and tuna spotters was one of her greatest pleasures, and people who had visited in her home remembered their experience there and would return years later to express gratitude and pleasure. Truly interested in people, she maintained ties not only with close family members, but also with hundreds of friends, business associates, remote cousins and in-laws in distant states. 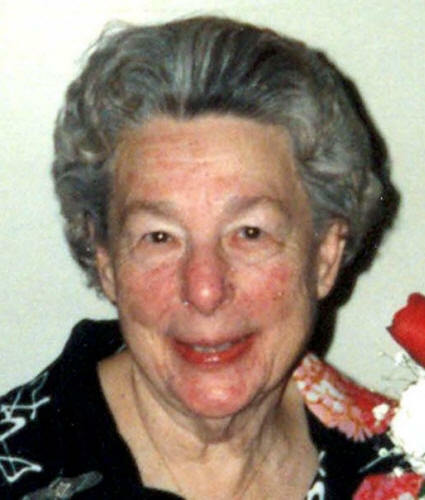 She maintained a constant open house for all friends of her children and grandchildren; whether they were fraternity brothers, theater acquaintances, or square dancing partners. She was the epitome of Southern hospitality and could make people from all walks of life feel genuinely comfortable and welcome. She entertained graciously, and those who experienced her open house never forgot it. Mrs. Hembel was always an encourager and a supporter, never seeking recognition for herself. She was a member of Eastern Star, Daughters of the American Revolution, Colonial Dames, United Daughters of the Confederacy, and the Saluda County Historical Society. She was also a graduate and active supporter of the University of South Carolina, and as a member of Red Bank Baptist Church all her life, she was involved in many facets of its program and taught Sunday School for many years. Surviving are her husband, Lester F. Hembel; a son, Henry Hammond Hembel; daughters, Helen Etheredge Hembel and Caroline Hembel Brazil; grandchildren, Lisa Walker Rollins, Connor Clark Walker, Pierce Sadler White III, Ariel Robin Hembel, Merlin Raven Hembel, Eric Lester Brazil, Richard Myles Brazil, Dianna Amber Brazil; great-grandchildren, Matthew Rollins, Benjamin Etheredge Walker, William Barr Walker, Lila Elizabeth Clark Walker; and one sister, Helen Etheredge Chieri. Services will be held Saturday, Jan. 27, 2001, at 11 a.m. at Red Bank Baptist Church, with Pastor Gary Romines officiating. Interment will follow at the church cemetery. The family will receive friends from six to eight Friday evening at Whitehall. Memorials may be made to Red Bank Baptist Church, East Church Street, Saluda, SC 29138; or Saluda County Historical Society, Box 22, Saluda, SC 29138.